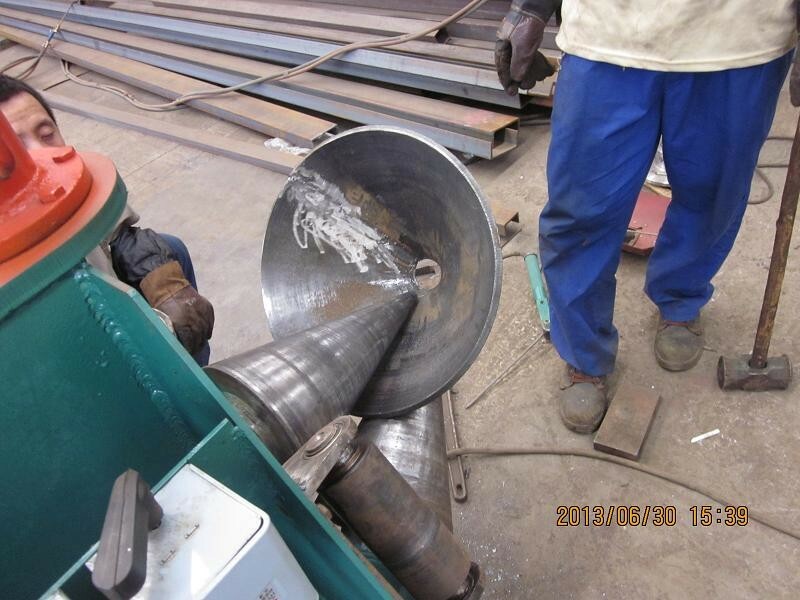 The cone rolling machine is applied in cone rolling and it combines the technical both from board and inland. It has the function of high efficiency, low source and easy to operate. 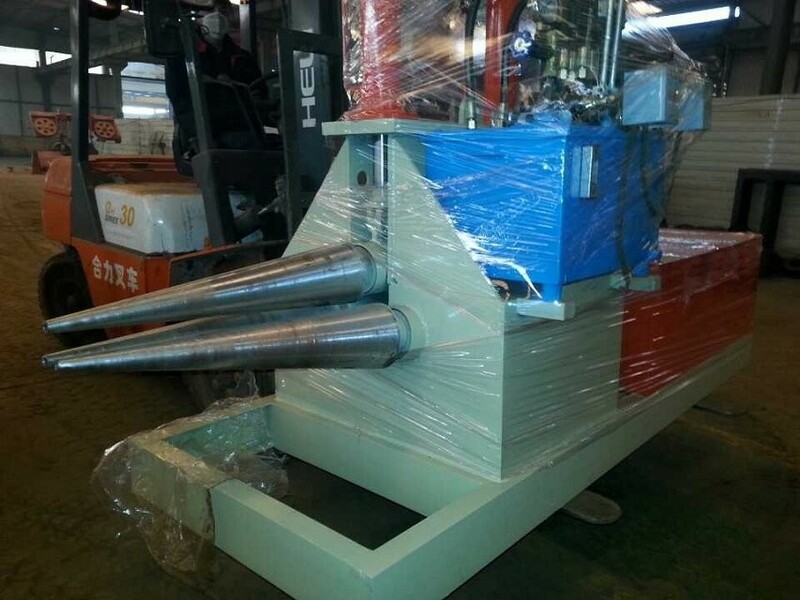 The structure adopts cone roller and all the 3 rollers are cone rollers. 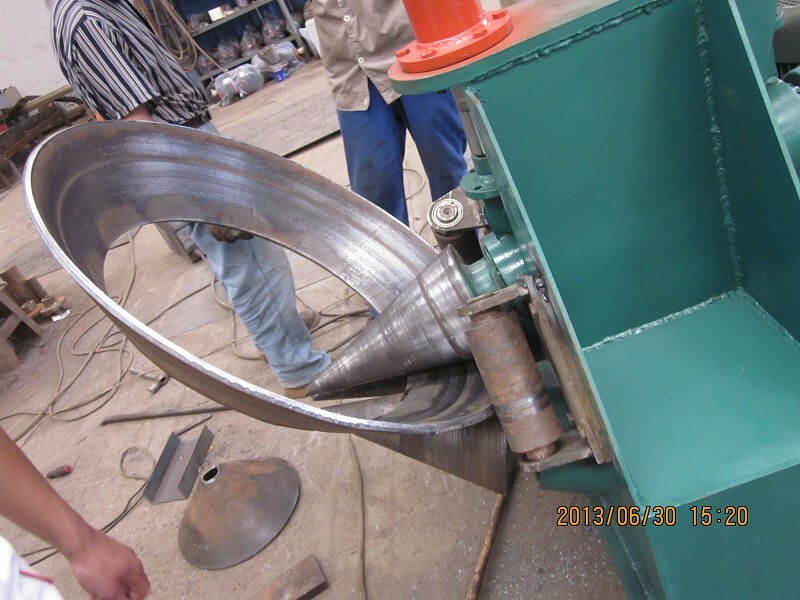 The cone rolling machine has the function of both pre-bending and cone rolling. 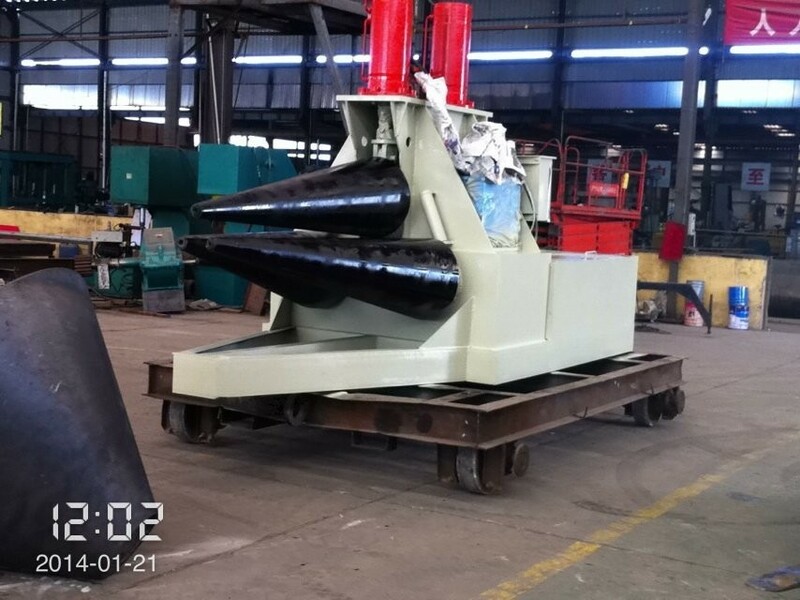 It consists of basis, turndown device, fixed side device, cone rollers, driven device, lower roller raise and drop device, hydraulic system and electric system. 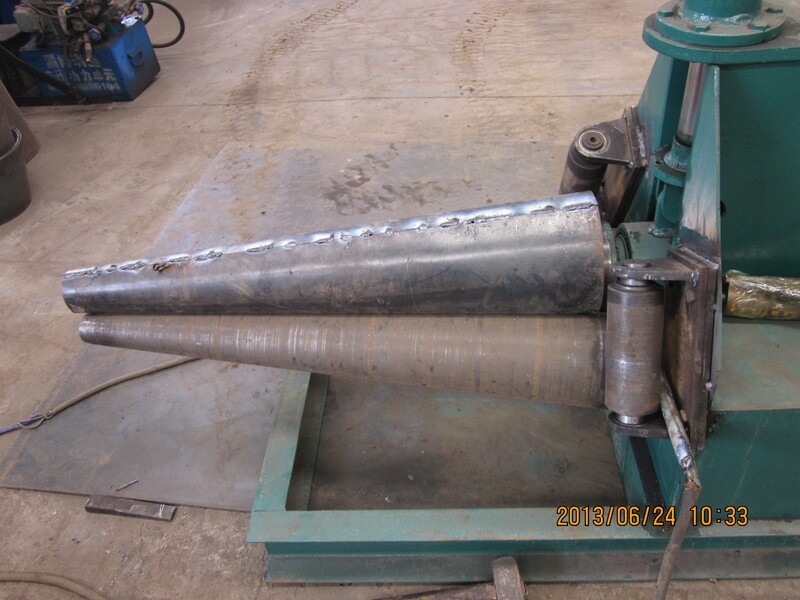 The upper cone roller can up and down by hydraulic cylinder drive. The lower rollers are fixed and driven by motor. The upper cone roller drives the deceleration motor. The motor has the balance function to make sure the accurate and reliable operation for the plates. The drive can choose the speed by both feeding and fast speed. So the efficiency is greatly improved. The lower cone roller adopts the motor driven. The driven lower cone roller raise and drop by up and down, keeping it fasten when pre-bending.